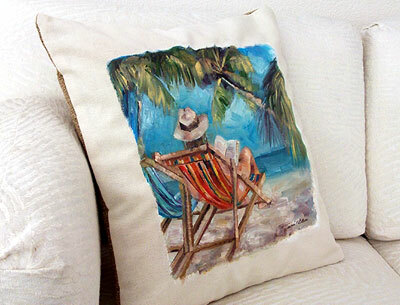 The Beach Therapy line is painting oil on canvas scenes of serene island relaxation that are hand-sewn into statement pillows that are tiny, contained vacays for the soul. Priced as one-of-a-kind originals, no two are alike never a copy is made. These pillows are truly unique works of art perfect for a stylish decor. Please use the contact form to purchase. Each item is unique and painted upon order. You will receive a response within 24 hours regarding payment options. No two pillows are alike. 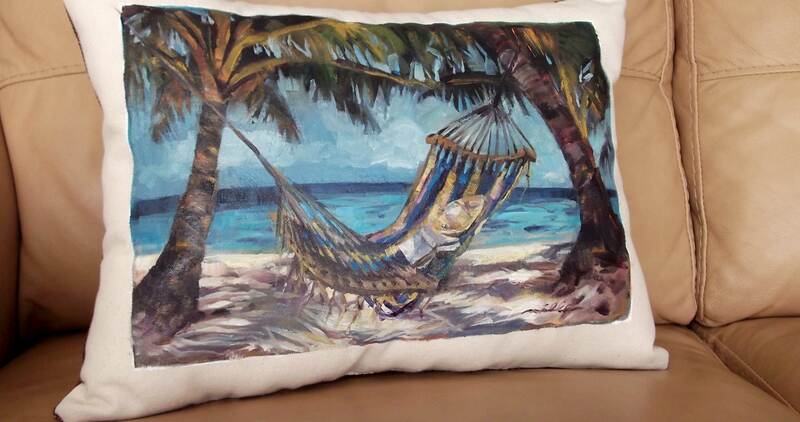 Pillows shown here are examples of the style and tropical theme of the painting. 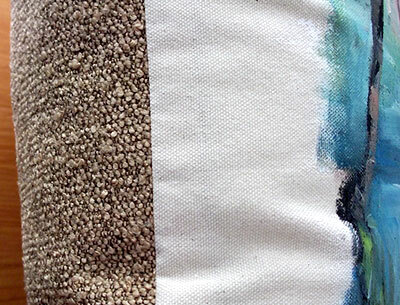 When you order, a canvas will be painted and a pillow will be sewn. You will then receive a photo of the work by email before shipping. Thank you for supporting the fine arts.